The HondaJet Elite features the company’s unique Over-The-Wing Engine Mount configuration. (Photo: HondaJet). The HondaJet Elite, first unveiled in May 2018, has received type certification from Transport Canada Civil Aviation (TCCA), as Honda Aircraft Company explains deliveries in the country will begin immediately. “As the popularity of the HondaJet Elite increases around the globe, we are proud of the strong relationships we have with aviation bureaus worldwide, including Transport Canada,” said Michimasa Fujino, president and CEO, Honda Aircraft. In addition to Canada, the HondaJet Elite holds type certifications in the United States (Federal Aviation Administration), Europe (European Aviation Safety Agency), Mexico (Directorate General of Civil Aviation), Brazil (National Civil Aviation Agency), India (Directorate General of Civil Aviation) and Japan (Japan Civil Aviation Bureau). 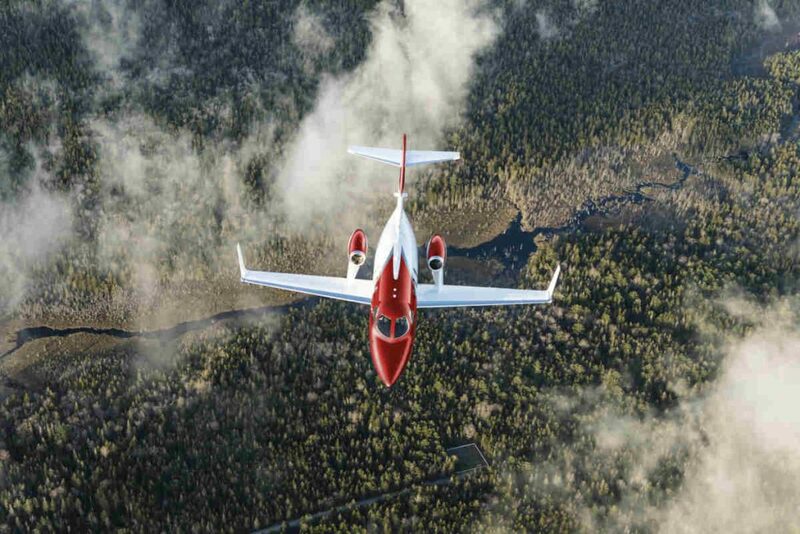 The HondaJet Elite is described by Honda as the fastest, farthest and highest-flying plane in its class. To achieve this, the company points a range of technological innovations on the aircraft, including its Over-The-Wing Engine Mount (OTWEM) configuration, Natural Laminar Flow (NLF) nose and wing and composite fuselage. Honda also states the aircraft’s cabin is the largest in its class, featuring a full-service galley and a private lavatory with optional belted seat. The aircraft holds an exclusive Bongiovi sound system and a customized Garmin G3000 avionics suite. The twin-engine business jet is certified for single pilot operation. The HondaJet fleet, based on annual statistics provided by GAMA, has been the most-delivered aircraft in its class for two consecutive years. The HondaJet fleet is currently comprised of 118 aircraft around the globe, according to Honda, and has demonstrated a dispatch reliability of 99.7 per cent.